Cabo San Lucas is located at the southernmost tip of the Baja Peninsula, where the Sea of Cortez meets the mighty Pacific Ocean. “Cabo”, as it is known by almost everyone, was once a sleepy fishing village that came to be very well-known for the incredible sportfishing available just offshore. Word spread…private yachts started to arrive in numbers. A few hotels were built, more and more yachts arrived, then came the world-class marina and a number of really nice beach resorts sprang up and…the rest is history. Cabo San Lucas has, not unexpectedly, become one of México’s most successful and most popular beach resorts. Fishing, the incredible seaside golf courses, a near-perfect climate, miles of pristine beaches, along with 5-star resorts are the big tourist draws today. Small taco stands sit next door to world-class restaurants. Wild nightclubs serve as neighbors to quiet wine bars and delicious, affordable meals are still available almost anywhere in Cabo San Lucas. What does all of this mean for the Cabo visitor? It means that Cabo San Lucas has something for everybody! The incredible beaches and unlimited water sports alone are reason enough to visit Cabo. Cabo is a romantic destination, for sure, great for weddings or a honeymoon, but Cabo is also a great place for the whole family to enjoy on a vacation. Want to spend your vacation in a place that has one of the world’s greatest climates? Try to beat a year-round average temperature of 78 degrees. It gets a little cooler in the winter and a bit warmer in the summer. The warm weather and consistently warm water is a difficult combination to beat when it comes to planning a vacation. Playa Medano, the main beach is one of the great people-watching spots in all of Baja, maybe the world. Quiet Playa del Amor, aka Lover’s Beach, is just a short boat ride from the main beach away and can sometimes be visited without any nearby company. There are countless quiet coves, where you’ll most likely find no other footprints in the sand, on both the Pacific Coast and the shoreline of the usually glassy Sea of Cortez. The beaches in Cabo make for the kind of vacation that real beach lovers have always dreamed of. Snorkeling at either of the beautiful bays of Santa Maria or Chileno may have been the very reason that snorkeling was invented. The sportfishing here is unparalleled in the world. Marlin of the blue, black and striped variety are all here in quantity. There are also sailfish, dorado, tuna, wahoo, roosterfish and endless varieties of bottom fish. Cabo is far and away the world’s very best all around location for sportfishing. You can arrange fishing charters everywhere. Even if you are not a dedicated fisherman, you should try your hand at fishing while you are here. Landing your very first marlin (get a photo, if possible, and make sure that you insist your marlin is released!) is an experience that you will treasure for a lifetime. The local panga fleet is another alternative and a relatively inexpensive way to catch your trophy fish while enjoying some time on the water. Surf fishing also can be productive here and is something the whole family can participate in. Pack a lunch and have a family picnic on the beach while surf fishing. Los Cabos is home to ten world class golf courses, with more on the way. The courses have been designed and built by the likes of Jack Nicklaus, Robert Trent Jones II, Pete Dye, Tom Weiskopf and Greg Norman. The ocean course at Cabo del Sol, a Nicklaus creation which skirts the shore of the Sea of Cortez, has been called one of the five most beautiful courses in the world. San Jose del Cabo is the home of an enjoyable nine-hole public course. Golf has definitely become one of the major attractions here for good reason. Where else can you catch (and release) a marlin in the morning, play eighteen holes, while enjoying a Cuban cigar and still be back to enjoy cocktail hour with an incredible Cabo sunset? Quality restaurants are the rule in Cabo, rather than the exception. Restaurants of many cuisines, from small taco stands to tables in the sand on the beach, to elegant cliff side dining. Cabo has quietly become a place for food lovers to spend their vacation. Fresh seafood is, of course, a specialty in Cabo. But, don’t be surprised if you have one of the best steaks you have ever eaten, try a Mexican Arrachera steak for a real treat. You may even get some of the best Sushi or one of the greatest Caesar Salads you have ever had. Your choices for a great meal are almost endless. There is a local cliff side restaurant that features a magnificent show, Cabos’ fabulous sunsets. You can swim in one of four pools while waiting for your meal or just enjoy cocktails on a cliff overlooking the beautiful bay and world famous arch. Nightlife? You shouldn’t need to be reminded about the first-class nightlife here in Cabo. If you are one of those who turns into an animal at night, you will feel right at home in Cabo. With nightclubs like El Squid Roe, Cabo Wabo, Hard Rock Cafe, Pink Kitty and the Giggling Marlin, Cabo is hard to beat for great fun into the wee hours. Remember, that you are in the land of siestas because it could easily turn out that you will be dancing until dawn. A siesta tomorrow might be much needed. Shop till you drop! 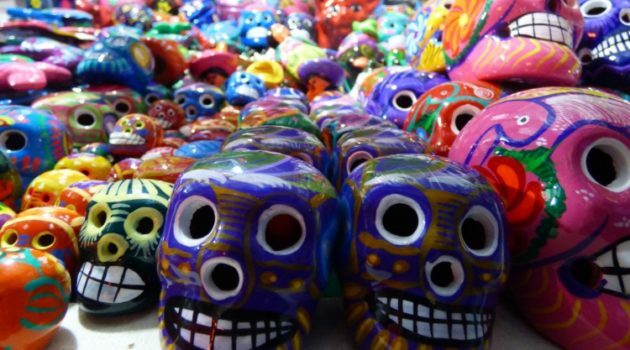 Cabo has an abundance of shops selling all types of Mexican handicrafts, silver and all kinds of beautiful ceramics. The beautiful new marina side mall, Puerto Paraiso, is sure to impress any visitor. The mall has already changed the shopping scene here in Cabo. Puerto Paraiso mall is popular, as an air conditioned place to shop, see the latest movies or dine in one of the many restaurants. Shop anywhere in town for tee shirts with some of the most outrageous designs available anywhere, wood carvings, Cuban cigars, unique objects made of pewter, pure vanilla, and designer sportswear at duty-free prices. Prescription drugs are often 30% to 50% less expensive here than in the U.S. People have been known to spend an entire vacation just cruising the many unique shops in Cabo. Activities in Cabo are almost endless. Scuba diving, surfing, para-sailing, snorkeling, sea kayaking, water skiing, glass bottom boat cruises, wave runners, surfing, windsurfing, whale watching, you name it and it is available here. Divers will most likely never forget a dive at the world famous sand falls, located just past the even more famous natural rock arch at Land’s End. Try not to miss one of the Pez Gato snorkeling trips to the incredible Santa Maria Bay or one of their great sunset cruises. For the drinkers, try a local tradition, the booze cruise. Cabo Expeditions and their fleet of Zodiacs offer some really exciting snorkeling and ecological adventure tours. Whale watching tours are very popular January through the end of March when the whales are plentiful. It’s near impossible to spend your entire vacation on or in the water. For those non-soggy days, there are abundant dry adventures to keep you busy. The desert, mountains and nearby ranches offer great places to tour with rented quads or dune buggies. And, just because this is Cabo, you can even rent Hummer H2’s for exploring the nearby desert or ranches. Organized ATV tours are offered to the Pacific beaches, where you will find great sand dunes. Another great ATV tour is the half-day trip up to the mountain village of Candelaria, where it is rumored that some of the locals still practice witchcraft. You can also race a go-kart or rent bicycles or scooters to drive on the local streets if you are feeling brave. The Cabo area also offers some great places to ride horses. You can ride along the beach at sunset or go a little farther, up into the hills and view Cabo from an angle that most people never get to see. Take your camera! Tours can be arranged for any number of riders. There are also jumping and dressage arenas for more advanced riders. To sum it all up, Cabo can be as quiet, romantic or relaxing as any resort. It can also be as lively as anyone can possibly imagine. If your wish is to enjoy a quiet candlelight dinner, beside the shimmering sea, Cabo has some of the most romantic dining spots on the face of the earth. If golf, water sports, boating, fishing, ATV’s, horseback riding, nightlife and numerous other activities are what you seek, they’re all here! Interested in some Cabo San Lucas businesses?